It’s Easter and therefore everybody is abundantly hunting for eggs. We’ve been looking for eggs too – not in the garden, but in the arts. Here’s our seven favorite art eggs. Many works by this Romanian sculptor are abstract and simplistic, but Le commencement du monde may be his most minimal work. 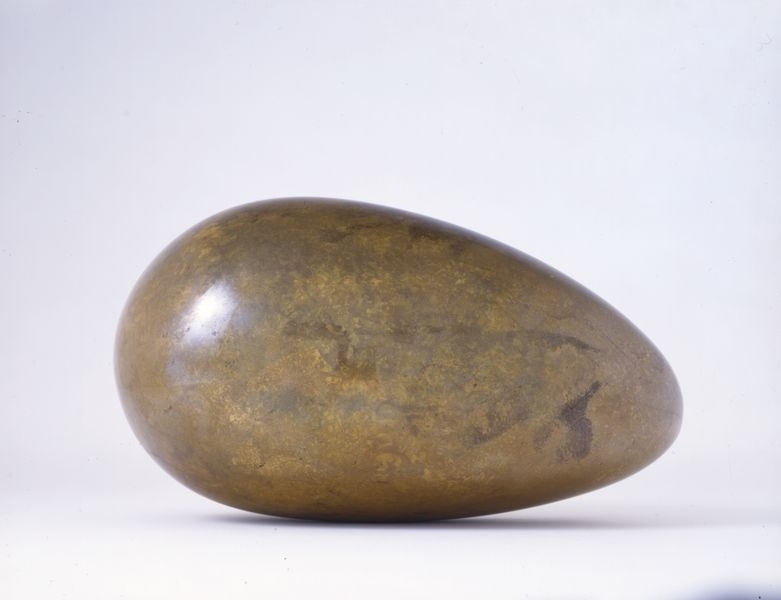 According to Brâncusi, this asymmetrical egg represents flawless beauty. In any case the oval was an important shape to him; he thought of it as the beginning of all creativity. The egg has been part of the Kröller-Müller Museum‘s collection since 1995. Eggs often appear in the work of Bosch, like here in the Garden of Eden. 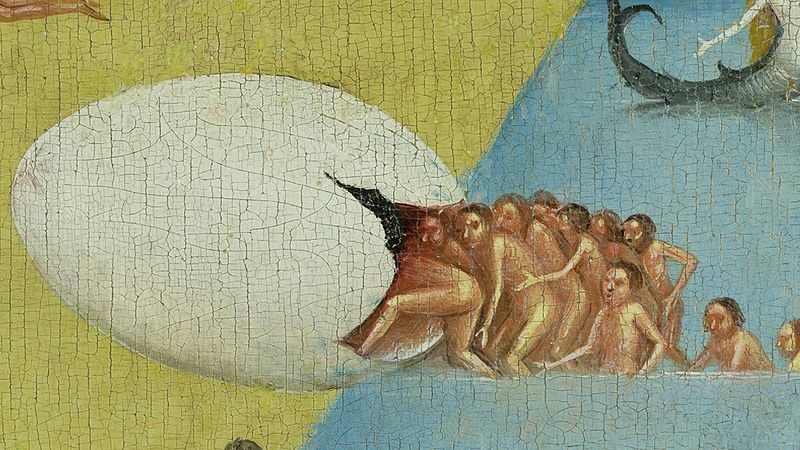 The egg is often a symbol for the beginning of new life, but Bosch uses it here as a place to return to. Like a safe place that provides shelter. 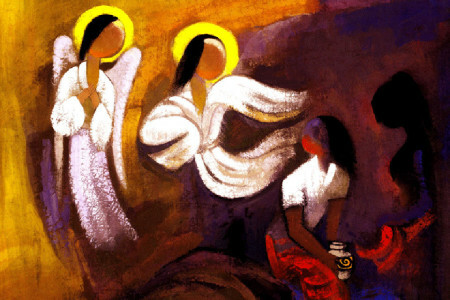 Below is a fragment of the work; more eggs and ovals can be found in the Garden of Eden. This video by the Dutch duo Lernert & Sander shows how three eggs escape (or not?) from a bowling ball, a hammer and a popping champagne cork. Slow as a snail, like an almost-still life. This is just like a tasty chocolate Easter egg, if you don’t look at the backdrop. 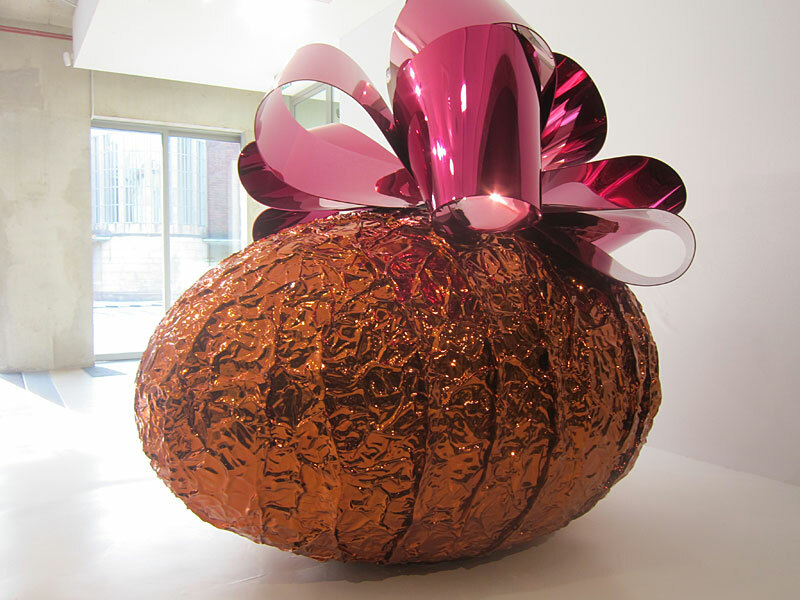 But this egg by Jeff Koons is enormous: it’s six cubic metre big. And he didn’t stop at one: it’s a series of ten. The other eggs come in different colours, and half of the eggs have a smooth surface. Rebirth and fertility in a typical Koons jacket. None of these eggs are comprised by a museum collection – so extra special if you come across one! 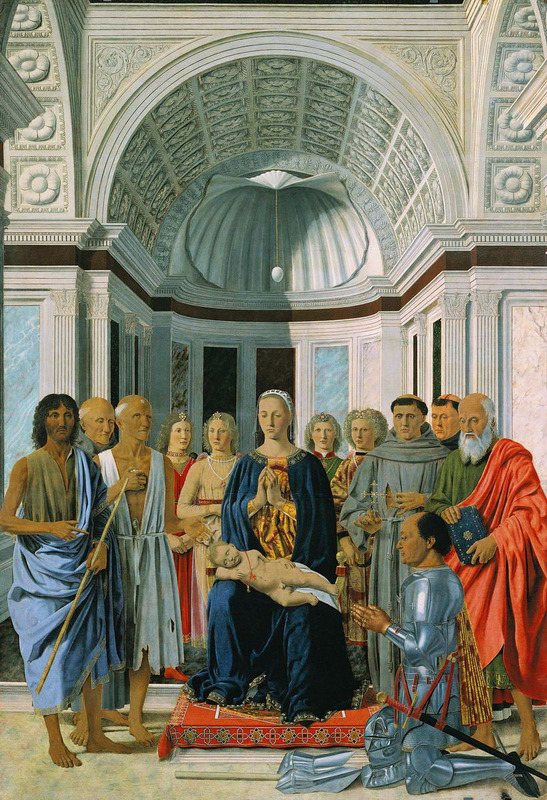 Your eye might be caught by the characters in the foreground at first. but if you look up, you see something remarkable: an egg that is hanging by a string, from an enormous shell. Opinions on the meaning of this egg differ. There’s an explanation that claims that people used to think that ostriches laid their eggs in the dessert and a nestling would crawl out after three days. Like a screaming Jezus Christ who stood up from his death after three days. Another thought is that Piero simply liked the shape. Whatever the underlying idea might be, once you’ve noticed the egg it keeps drawing your attention to it. 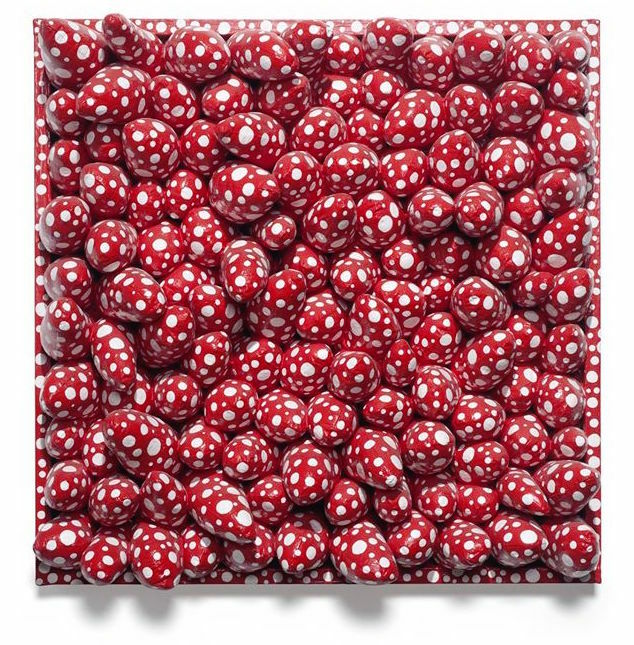 Maybe the most Easter-like art work on this list: Dots by Japanese queen of the dot Kusama. She dots nearly everything, from pumpkins, to entire rooms, and thus this collection of eggs. Of course Fabergé cannot be missed on this list. The Russian gained world fame with his decorated eggs that served as Easter presents from the Tzars. There are 42 left, dispersed across the globe after the Russian revolution. 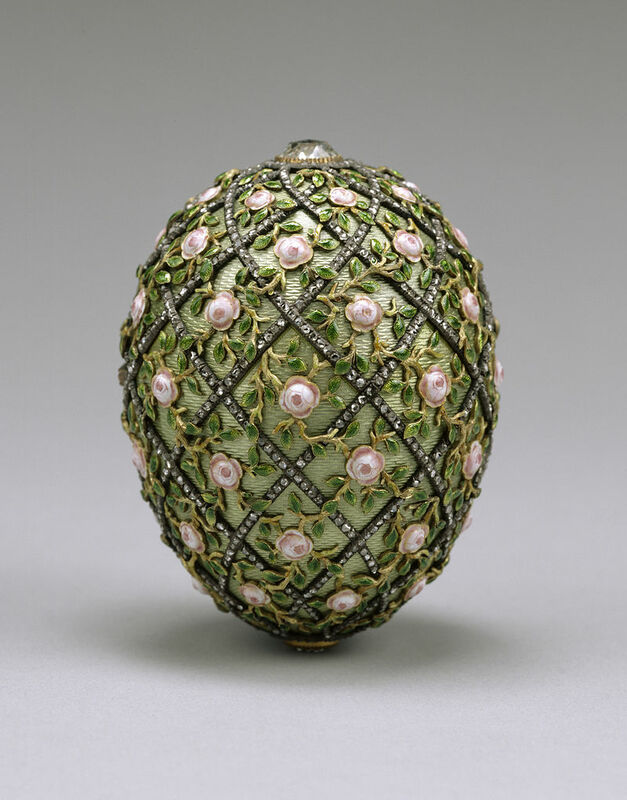 The eggs are all different, but were all covered with the prettiest materials, such as gold, platinum and gemstones. 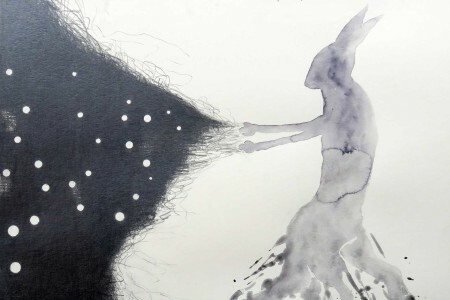 Who gets the enigmatic hare?